The second KONFIDO press release regarding the completion of the End-User analysis is out! 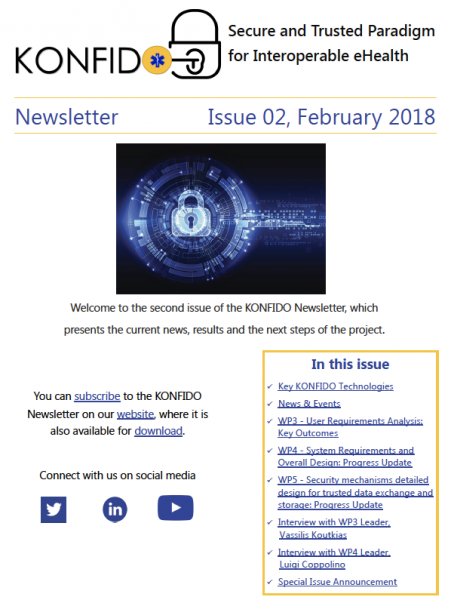 KONFIDO's second newsletter has been released and is available here. 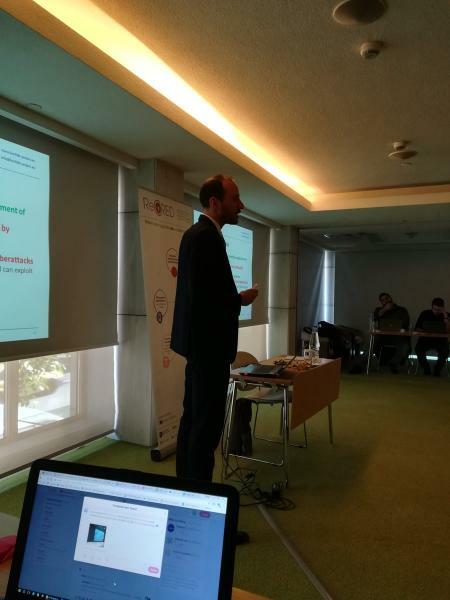 KONFIDO was presented by EULAMBIA in the H2020 Project Clustering Workshop organised by the ReCRED project, which was held in January 31, 2018, Athens, Greece. KONFIDO will work together with the CANVAS project on a case study around cross-border eHealth data exchange. 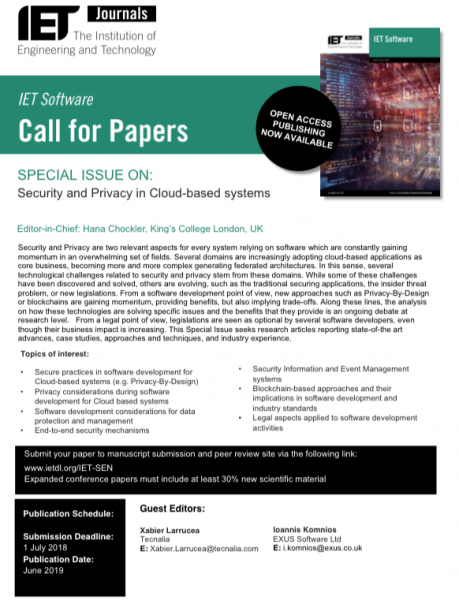 KONFIDO and SHIELD projects organise a joint special issue on “Security and Privacy in Cloud-based systems” in the IET Software journal. The submission deadline is on 01 July 2018. The respective Call for Papers is available here. 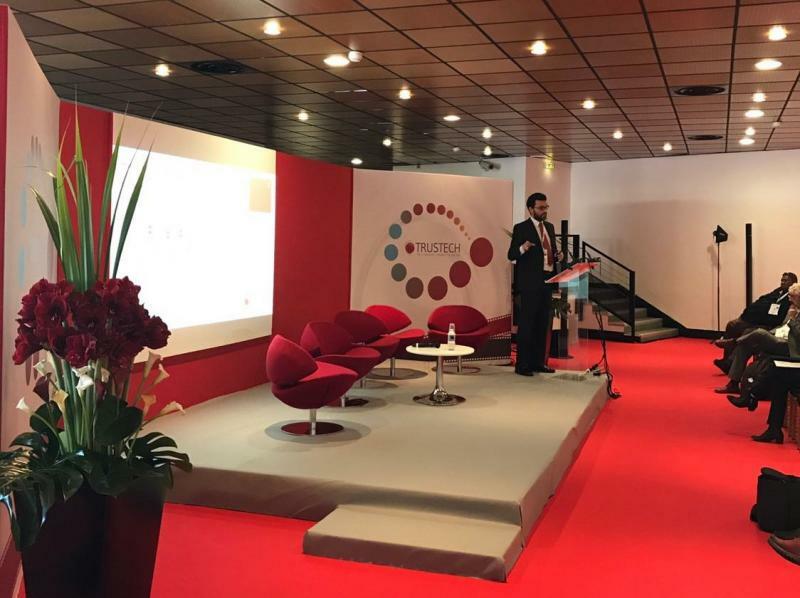 Paolo Campegiani (Bit4id) presented KONFIDO at the Trustech event, the most important global event focused on trust-based technologies, in the context of the "eID & eGovernment" track, that was held in Cannes, France November 28-30, 2017. 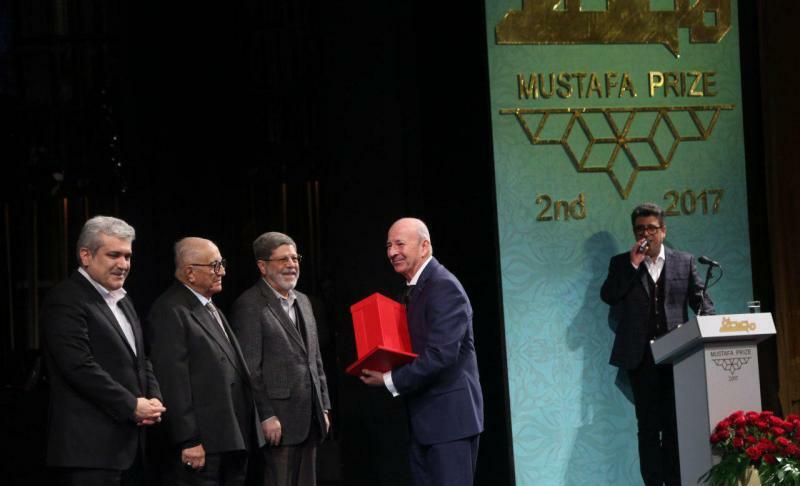 Prof. Sami Erol Gelenbe (ICL) received the biennial $500,000 Mustafa Prize on Dec. 3, 2017, for his pioneering research on “Modeling and Performance Evaluation of Computer Systems”. The latest outcomes of KONFIDO's WP3 were presented in the International Conference on Biomedical and Health Informatics (ICBHI 2017) that took place in Thessaloniki, Greece, November 18-21, 2017. 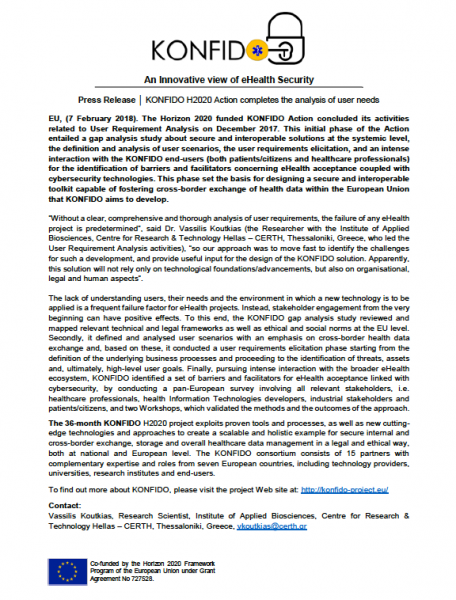 Pantelis Natsiavas and Christine Kakalou from CERTH-INAB presented two papers entitled "Gap Analysis for Information Security in Interoperable Solutions at a Systemic level: The KONFIDO Approach" and "Identification of Barriers and Facilitators for eHealth Acceptance: The KONFIDO Study". KONFIDO project just became part of the European observatory of research and innovation in the field of cybersecurity and privacy (cyberwatching.eu) ecosystem. 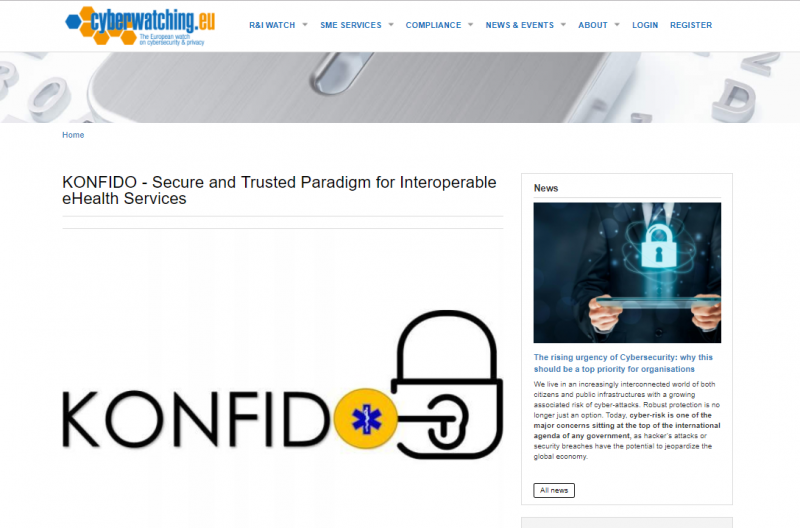 The project is listed on the R&I service catalogue and it is currently featured on cyberwatching.eu as project of the week. 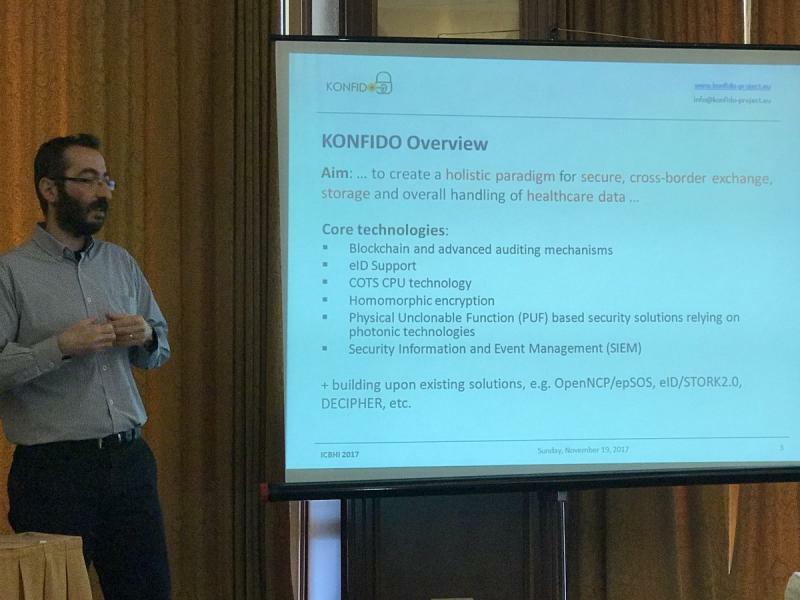 Paolo Campegiani (Bit4id) presented KONFIDO at the Information Security Solutions Europe-EEMA annual independent security conference that is being held in Belgium, November 14-15, 2017.